Bit of a shock start to the week to find Attila the Stockbroker on Radio 4 this morning. He was featured as the guest voice on the Long View which was comparing the current Libor scandal with a similar event in the 14th Century. The earlier event ended with a people’s revolt and the main protagonists having their heads removed – we can always hope that history does repeat itself!!! Attila was even allowed to read part of his poem Bye Bye Banker as part of the program…. Didn’t realise you could say Sod off on Radio 4!! But hey I guess it’s ok as it is, after all, the cleaned up version!!! Driving home tonight they announced at the end of the Radio 4 news that while they’d been on the air news had come in of the death of former Deep Purple keyboard player Jon Lord. He was 71 and had died from Pancreatic cancer. It’s sad that anyone die so young and the people whose music formed a backdrop to my youth seem to be dropping almost on a weekly basis. 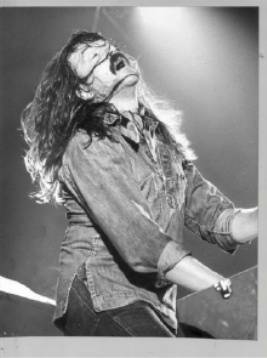 Having said that I was never really a big Deep Purple fan as they had split before I started going to gigs. I did see the various members in their respective bands, Ritchie Blackmore in Rainbow, the Ian Gillan Band and of course David Coverdale, Ian Paice and Jon Lord in Whitesnake. I don’t remember being very impressed by Lord whose organ solo, as I recall, seemed to involve picking up the corner of the Hammond and dropping it. But then I wasn’t very impressed by Ian Gillan either – think it just annoyed me that they’d all left Deep Purple but scattered their sets with Deep Purple songs. I think the only Deep Purple album I ever owned was MAchine Head and could probably name 3 Deep Purple songs (Highway Star, Child in Time and of course Smoke on the Water).